Has there been something you’ve dreamed of doing, something you knew would be so fun, so enjoyable, an absolute blast, but when you were actually able to get around and do it, boy-you were so wrong? That’s what happened to me when I recently went on a vacation to the Outer Banks with my boyfriend’s family. When we crossed the North Carolina border we were greeted with sheets of rain, howling winds, and thunder that made the ground rumble. As the gray clouds got thicker and thicker, I whipped out my phone to check out the weather. Josh’s mom said that we had 6 straight days of sun in our vacation forecast. I was finally, going to the beach, finally days under the sunshine. I desperately needed a vacation. The last one was a trip to Colorado for my twin sister’s wedding (btw the plan for a co-owned blog by my twin sister, Andrea and myself is in the works. Stay tuned!) but a “wedding vacation” isn’t ever exactly a vacation. I looked at my phone and felt my entire body slump in disappointment. Rain. Rain. Clouds. Rain. Thunderstorms. Rain. Gray. No Sun. WHAT?? This can’t be possible. I checked another sight for Duck, North Carolina, and it was basically the same prediction, but it did promise one partially sunny day. I was depressed. There is nothing like going on a vacation to the beach and having it rain 24/7. I tried to remain positive saying to myself, “Rainy days make good writing days” but I certainly wasn’t feeling it. About two days into the vacation, the sun broke out. I hadn’t seen it in so long I started checking the people around me for any glittering skin, The Outer Banks had transformed into Washington State so one can never be too careful (horrible Twilight joke I know). What I actually did was throw on my bikini, grab my boogie board and try to shuffle everyone straight to the beach. En-route, Josh’s step-dad, Tim, announced that before we headed to the beach we were going on a little adventure. The adventure was…JET SKIING!! I clapped with joy! I have never ever been jet skiing in my life, and it was one of my life long dreams to go. I love boating, and what couldn’t be more fun that gliding across the gentle water on a “motorcycle of the seas”? As we drove to the Jet Skiing retail docks Josh told me story after story of his jet skiing adventures. All of the highlights of his adventures included someone flying off the back of the jet ski. My favorite description he gave was, “Yeah, Dad flew off the back of the jet ski so hard he looked like a rock skipping across the water! He was in so much pain the next day, it was hilarious!” Inwardly I grimaced and thought about how weird guys are. For so many of them “bonding” or “having fun” most always includes pain of some kind. With each story, my excitement turned into uneasiness. I would be the riding with Josh. I would be the victim. I would be flung in the air, skipping across the water. We all signed waivers and then walked down a boarded walk to the dock where about 15 jet skis’ sat waiting to be used. The guy that worked at the dock was tall and so thin I thought he would disappear when he turned sideways. His skin was perfected toasted from what I could tell was a summer spent working in the sun. He mumbled a memorized speech of instructions and before I knew it we were pulling on life vests. It took me forever to find one that wasn’t too big or the home of a spider. I gulped. Our definition of “fast” was far from close. If I was Miss Daisy, he was a “break the sound barrier” wanna be. We got on and I clung on for dear life, hoping that in the words of American Ninja Warrior, I had enough “grip strength”. Once we got out of the no wake zone Josh hit the gas. The jet ski flew across the water. Let me just say, it didn’t feel like we were riding on water it felt like we were riding on concrete. I imagined the pain that was bound to happen flying into that rough water. The wind and water hit my face like little needles and I screamed feeling totally lame. I tried to be brave, but I felt my fingers slipping. He slowed down a little and looked for waves to “bounce around”. “You’ll like this!” He called back to me. 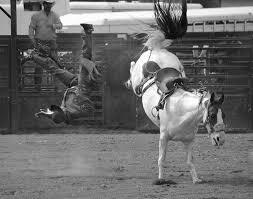 We were crashing into waves and I held on like I was holding onto a bucking bronco. That’s how it felt to me anyway. He spun around in huge circles and then in little circles. We flew into the air after “bouncing” against the waves. I watched my life flash before my eyes. Josh suggested that I try to drive it. We came to a stop and I finally was able to breath again. When I drove it I realized I didn’t feel paralyzed with fear going 20 miles per hour or under in a perfectly straight line. I was lame. 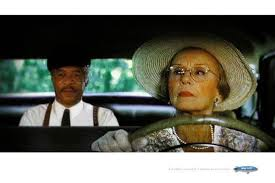 I was Miss Daisy. I felt so bad for Josh so I begged him to drop me off at the dock, so at least he could enjoy himself more. He said he didn’t want to do that, he wanted to jet ski with me and he would just go slower. I felt awful so I told him to speed up to around 35 mph even though I was scared. I had not imagined jet skiing this way. I imagined that I would love it. That I would save up and buy a jet ski one day. I had not imagined feeling relieved when the guy that worked there signaled for us to come back to the dock, and our time was over. When we docked I leaped off the jet ski to discover my legs and arms and fingers felt like they were frozen into position and I ended up being sore for days because I was clutching on so tightly. What is something you thought you’d love and ended up hating/not loving it after you tried it?